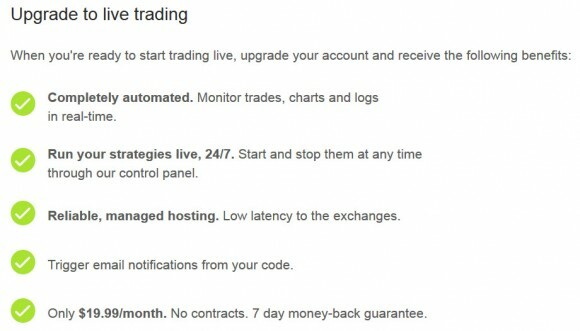 Tradewave, a cloud-based trading platform using automated trading bots that you can create and customize has launched a live trading option as previously users were able to only create and backtest strategies (our brief check of the service). Tradewave is very similar in concept to the Cryptotrader service that we have reviewed already, however there are quite a lot of differences between the two. Tradewave uses Python for writing the trading bot code directly in the browser and then the bot runs in the cloud doing the trading for you, so you don’t need to worry about downtime or have to leave your computer on and connected to the Internet all of the time. 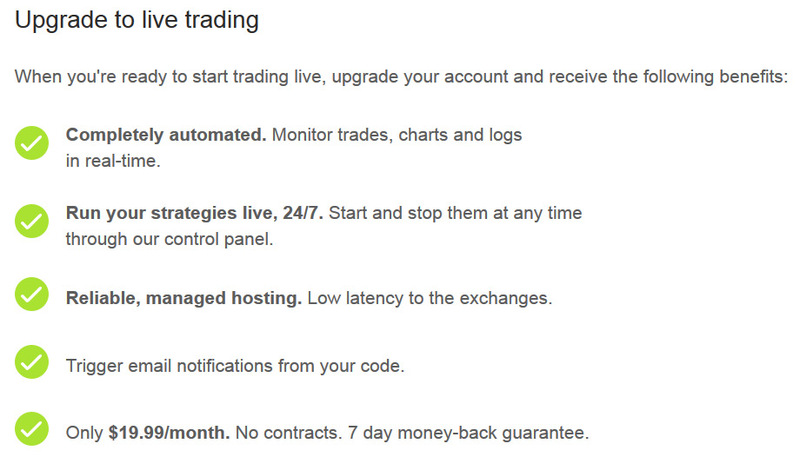 The service offers free functionality for creating bots and backtesting them, but in order to get access to live trading functionality you will need to upgrade your account for $19.99 USD a month ($10 USD a month at Cryptotrader for the cheapest live trading plan). At the moment Tradewave offers live trading support at the following crypto currency exchanges: Kraken, Bitstam, BTCe and Bitfinex, however the services does support only the primary BTC and LTC for USD/EUR trading pairs and not all crypto currencies supported by some of the exchanges. Gridseed will Produce A2 chip based Scrypt ASIC Miners Exclusively?